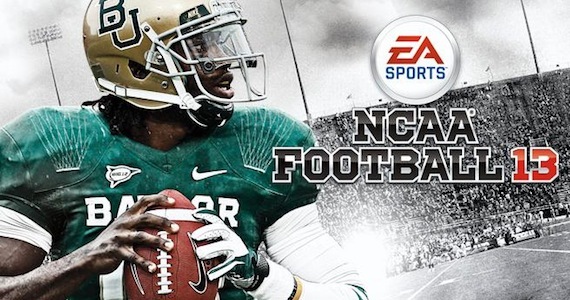 Each Monday for the first 13 weeks of the college football season, Coke Zero is giving away one copy of EA Sports NCAA Football 13 (XBOX360/PS3) every 13 minutes. That’s 111 copies each Monday! The rules to enter are simple: Follow @CokeZero on Twitter and look for messages including the hashtags #GameOn and #ad as well as the URL http://bit.ly/EANCAA. Once you retweet the message originating from @CokeZero, you’re entered. They've also given me a copy to give away right here. So here's the deal. I've started this thread on our message board and posted a photo of Brian Kelly and Brady Hoke from 2011's Michigan-ND game. Your job is to caption that photo. The best caption, decided by me, will win a 100% free copy of NCAA Football 13 for either XBOX360 or PS3. Inappropriate captions using foul language or anything like that is strongly discouraged. Hurry, this contest won't last long. UPDATE! Contest is closed, we have a winner!